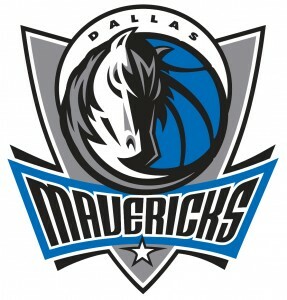 In 1980, the Dallas Mavericks entered the NBA, and quickly became a relevant team to the NBA landscape. In just their fourth season in the NBA they made the playoffs and even won a playoff series. After a few successful seasons, the Mavs slid down the rankings, and they became a nonfactor in the league. The success of the franchise greatly increased a few seasons after they made Don Nelson their head coach. In his third season as the coach of the Mavericks, Don Nelson coached the team to the playoffs. That was in 2000. 12 years later, they have yet to miss the playoffs since. In fact, they have yet to win less than 50 games in a season since then. In an unheard of stretch, they have won at least 60% of their games every season since 2000. Don Nelson was only the coach for six seasons. Don Nelson is not noteworthy for many reasons. He is the NBA leader for most wins as a coach. He coached for the Mavs and other teams to attain that honor. He was not only a great coach, but he had a great ability to see true talent in players. In one season, he managed to draft Dirk Nowitzki and trade for Steve Nash. It was behind these players that the Mavericks became one of the best teams in the Western Conference for the past decade. Another thing to credit to Nelson’s name is the fact that he paved the way for the next coach, Avery Johnson, to have a successful tenure as well. In Johnson’s first full season as the coach of the Mavs, they went to the NBA Finals. They had a very disappointing Finals in which they only won two games to the Miami Heat’s four. They followed up that disappointing season with one of the best regular seasons in NBA history by going 67-15. However, they had another disappointing showing playoffs. They were the first 1 seed to lose to an 8 seed in NBA history when the Golden State Warriors knocked them out of the playoffs in only six games. The Mavs began to have a reputation as a soft team that could only win in the regular season. In the following three seasons, only managed to win one playoff series. This resulted in a coaching change again, this time to Rick Carlisle. This was a change they would not regret. In his third season, he led the Mavs to win an NBA championship by defeating the Miami Heat in six games in the Finals. The playoff series versus the Heat was almost a mirror image of the loss to the Heat in the Finals five seasons prior. The Mavericks were the favorites in 2006. They got out to a quick series lead, only for the Heat to come back and win four in a row to take the championship. In 2011, the Heat were the heavy favorites. The Heat had just signed LeBron James and Chris Bosh, two of the games best players, to join Dwayne Wade who also is one of the leagues best players. Behind the prowess of these “Big Three,” the Heat stormed through the playoffs poised to win a championship in their first season together. They won the first game of the Finals versus the Mavericks, but then in a reversal of fates, the Mavs won four out of the next five games to win the series and take home their first championship. They were led by Dirk Nowitzki, a player from Germany. Nowitzki is one of the biggest reasons for the stretch of 12 seasons in a row in which the Mavs made the playoffs while winning at least 50 games. He has established himself as one of the all time elite at the power forward position. His height at 7 feet tall combined with his other worldly shooting ability makes him virtually unguardable. The Dallas Mavericks are a team on the rise. Winning their first championship last season has allowed them to go from regular season juggernaut to perennial title contender as long as Dirk Nowitzki is on the court.